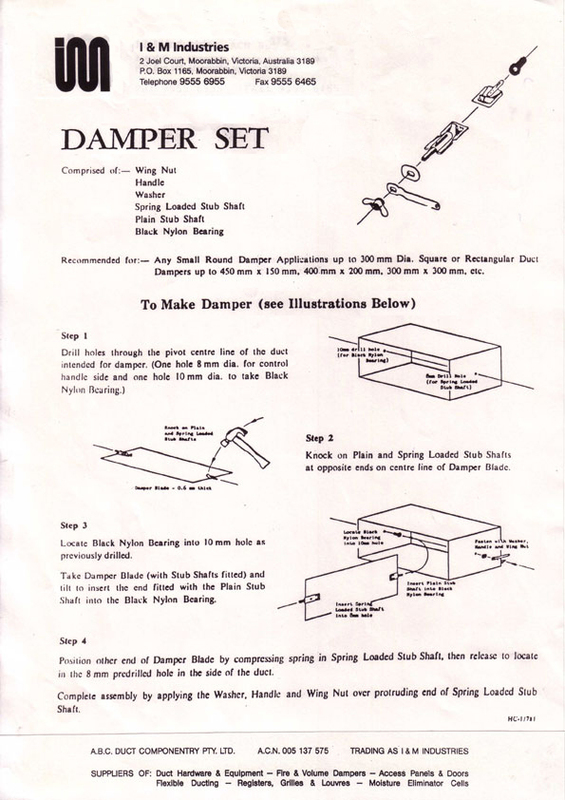 I & M spigot hardware damper set comprises 6 items, a Spring Bearing, an End Tip, a Handle, a Nylon Bearing, a Washer and a Wing Nut. The Spring Bearing and End Tip will pierce thru up to 0.60 mm thick steel. The handle on the assembled damper blade indicates the damper axis position.